The awards season is right around the corner. The summer is drawing to a close, the blockbusters are mostly done for the next few months, and the prestige dramas are moving into position. And one that has a lot of eyes on it, for darn good reason, is Molly's Game, the directorial debut by award-winning writer Aaron Sorkin. 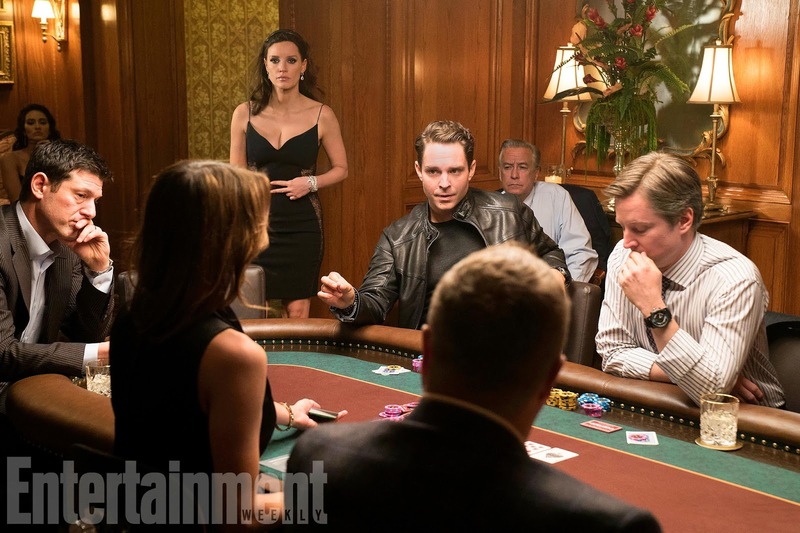 EW has our first look at the gambling drama and its star, Jessica Chastain. She plays Molly Bloom, an Olympic hopeful and Harvard law student who somehow ended up running the most exclusive high-stakes poker game for years, right up until she was busted by the FBI. Her clients consisted of the Hollywood elite, politicians, sports stars, and, oh yeah, the Russian mob. Idris Elba co-stars as her lawyer, while Michael Cera, Kevin Costner, Chris O'Dowd, Bill Camp, and many more make appearances, mostly as gamblers. Molly's Game opens November 22nd.